At Frazer Children’s Dentist, we understand how a first dental visit for a child can often be one of the most important of their lives; their first dental experience will often affect how they view dentistry and dental treatment as adults. Kids who regularly attend a dentist will almost certainly have a much more positive view of dentistry for the rest of their lives. 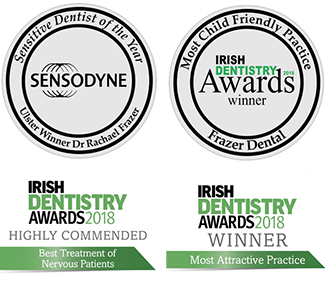 This is why we offer very affordable children’s dentistry , with children’s check-ups only €30 , encouraging parents to bring their children to the dentist from a young age. If we can get children into good dental habits from a young age , then they will not develop the fears that many of our adults patients have grown up with. Best Child-Friendly Practice in Cavan. What makes your children’s trip to Frazer Dental different? 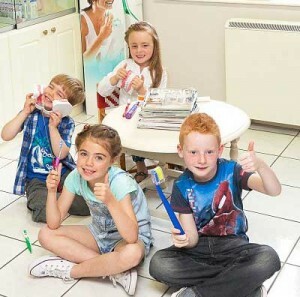 At Frazer Dental, the emphasis is on having’ fun’ whilst visiting the dentist!! We have a created a very inviting environment for children in Frazer Dental. 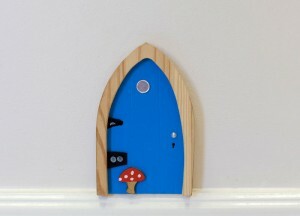 From the moment a young patient walks through our door they will notice the first of our Tooth Fairy Doors greeting them in the hallway. 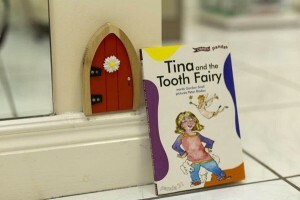 With other tooth fairy doors dotted around the practice!! Each child receives a tooth-brushing rewards chart- from one of our nurses, as soon as they arrive, even before they enter the waiting Tooth-Fairy-Bookroom. 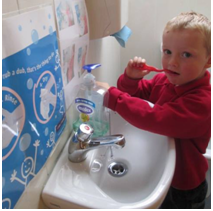 This is a useful tool for parents and children when brushing as it involves both parent and child in the brushing process, with rewards given at the end of the completion of the chart, if they bring it back to us next time they come in! At Frazer Dental, we understand that children are often nervous too, or may have had a bad experience previously so we have a very affordable pricing structure for children’s dentistry. For example, a children’s consultation is just €30. As much as possible with anxious children, we like to bring them through an acclimatisation process whereby we bring them back a 2 or 3 times before we start doing any major dental treatment, that way they learn to trust us fully. We may do a prophy polish second time , and even a fissure seal or two the time after that. We use our intraoral camera at each visit, during every treatment! This is a great learning tool and enables children to understand what we are doing. It removes the fear factor from children’s restorative dentistry and encourages good behaviour! We find that parents love the ‘before & after’ imagery as much as children do! We have a dedicated seating area for mum / other children in the corner of our surgery. We let the kids pick the music- usually One Direction!! 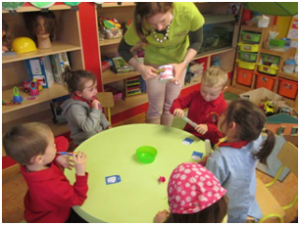 We give rewards for each visit- from stickers and toothpaste at their first visit , to teddy bears , pencils, rubbers , bouncy balls and bags of marbles for more complex visits. We visit schools and preschools on request. Our Frazer Dental Community Children’s Dental Health Programme- this aids familarity as a child is usually so excited to meet us again , having met us already a visit to their school/preschool. We offer Monthly Competitions!! -through our Facebook page. 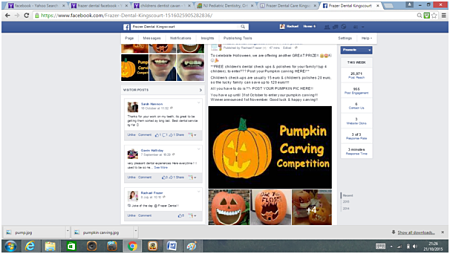 This month we are running a Pumpkin Carving Competition with a grand prize of check ups and polishes for up to 4 children. A member of the Frazer Dental team will visit your children’s school on request. All members of the team are trained in this, so it’s a fun way for each staff way to feel empowered in the job they do. 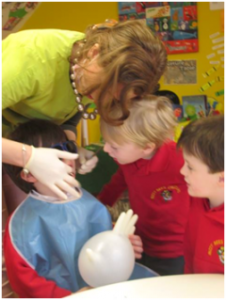 To teach young children all about teeth, how to look after them and what goes on at the dentists! A friendly and fun way to help little ones understand dental health and dispel a few fears about going to the dentist. Many children (and let’s face it – a lot of adults too!) love sweets and sugary treats – but do they know why they shouldn’t eat them all the time? Or why it’s important that they brush their teeth? At Frazer Dental we recognise the importance of helping children to understand the importance of looking after their teeth. Our FREE Community Dental Education Programme is specifically designed to visit schools, preschools and nurseries as a fun and gentle way to introduce children to the ideas behind good oral hygiene. 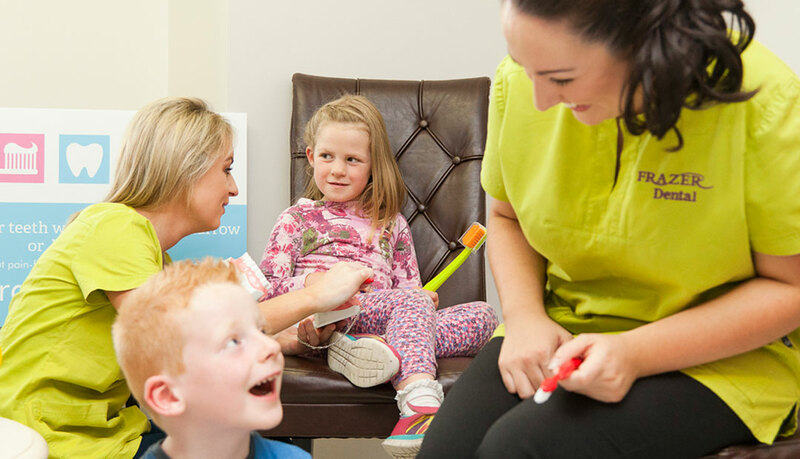 In addition, meeting a real dentist or dental nurse and hearing all about what goes on when you go for a ride in the big dentists chair can help to reassure little ones that a visit to the dentist isn’t anything to be scared of. A fun, take-home pack with plaque disclosing tablets so children can show Mum and Dad how it works! This service is offered free of charge to all schools, playgroups, nurseries and scouts groups for children. Due to their popularity ,we are often booked up several months in advance. We invite parents to bring their children and friends to join us for one of our Children’s Check-up party dates. These events are held on Saturday afternoons with dental check-ups from one of our dentists as well as oral hygiene advice and tooth brushing demos from our nursing staff . Everyone child gets a party bag at the end. Our nurses play an important role in oral health promotion. Our nursing staff co-ordinate and organise these children’s dental check-up parties, and provide all the oral hygiene instruction and party bags for each child.